Please contact me via email in case of problems. I can't answer comments in the Android Market for most countries. For long podcasts and audio books it is difficult to skip to a certain position. Especially if the audio book is one big file. 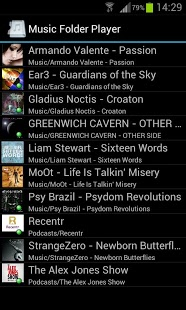 Therefore the Music Folder Player provides 'Seek Buttons'. They can be used to jump in step forward or backward. The jump distance and direction is configurable for each button between 1s and 99s and between 1% and 9%. 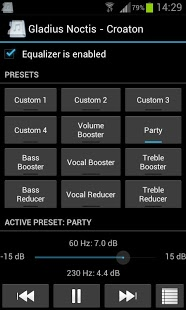 Sorry, but implementing equalizer and effects for older Android versions is very complex and requires licenses. 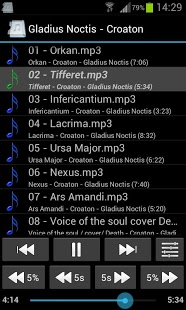 * Shuffle files within the current folder. If you accidentally touch a button or select another track, the undo button appears. The ad-free version of this player is available on the market now. Please report bugs and suggestions by e-mail.